So today is Mother’s day in Ireland, so happy mother’s day to all the mums in the world! Mother’s day is celebrated around the world, but not necessarily on this day, as I found out here http://en.wikipedia.org/wiki/Mother’s_Day and from my experience, in Belgium(specifically in Antwerp) there are two days that it is celebrated on .The Second sunday in May and or the 15th of August. Risk is then it never gets celebrated as one always says, oh no, that’s not when we celebrate it! So to avoid that all together, I’d celebrate my own mother’s day three times, I gave her a call today to wish her a happy mother’s day and I”ll be doing the same again in May and in August! She deserves it! So, to get back to today, it was a most beautiful day to day, blue skies, sunny, but not the warmest. 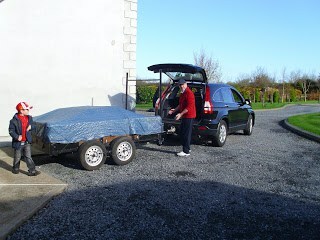 We loaded up the boy’s go carts and drove to Coole Park. Coole Park was once the home of Lady Augusta Gregory, dramatist, folklorist and co-founder of the Abbey Theatre with Edward Martyn of Tullira Castle and Nobel prize-winning poet William Butler Yeats. Coole Park, in the early 20th century, was the centre of the Irish Literary Revival. Yeats, George Bernard Shaw, John Millington Synge and Sean O’ Casey all came to experience its magic. They and many others carved their initials on the Autograph Tree, an old beech still standing today. Although the house no longer stands, one can still appreciate the surroundings that originally drew so many here. 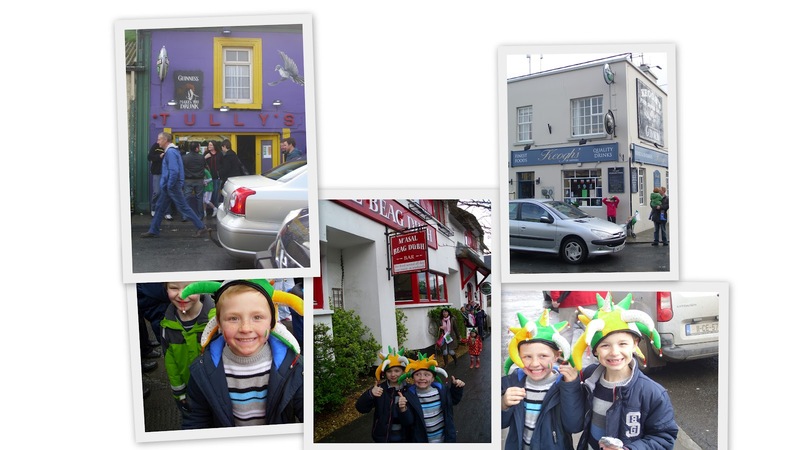 And below are some images in and around Kinvara.